Your very own queue hopper! 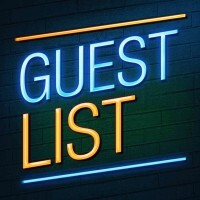 We'll get you on the guest list for one or more of the best bars and clubs in town. This means no waiting around for the queue to go down - you'll be heading straight for the front with VIP treatment! Your very own queue hopper! We'll get you on the guest list for one or more of the best bars and clubs in town. This means no waiting around for the queue to go down - you'll be heading straight for the front with VIP treatment! Whether you want to head out for some pre club drinks, or get straight into the thick of the action we'll tailor your experience around what you want to do. Providing you abide by the rules we set out before the event, we will ensure that you don't get turned away at the door. We have built up partnerships with the bars & clubs to ensure that you'll have a good night out. But make sure you check the terms for each venue. That often means that you'll need to check whether fancy dress is accepted and general dress code, as well as behaviour - don't turn up too drunk or you're going to face problems.